Alessi, makers of some very nice, and quite pricey, stainless steel and plastic designer kitchenware, are getting into the computer tablet market, with the AlessiTab. 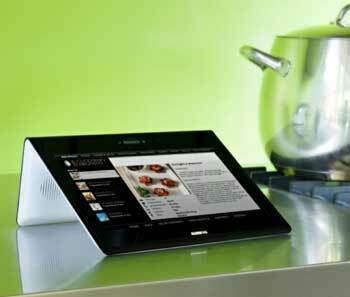 The AlessiTab will run on Android 2.1, and features a 10.1″ capacitive touchscreen. 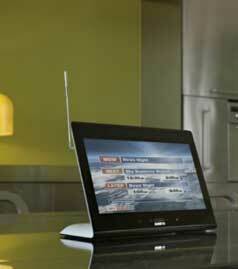 The tablet will receive digital terrestrial TV, web TV and web radio, and with its inbuilt webcam, video calling is an option.The kitchen features in one aspect of the AlessiTab’s design, setting the screen at a 30 degree angle set the device up to display recipes (see below the details of the recipe app). It’s designed by long-time Alessi designer, Stefano Giovannoni, responsible for such products as the Lilliput Salt & Pepper Set with Magnetic Base, and the Magic Bunny Toothpick Holder. The AlessiTab will be manufactured by Promelit. 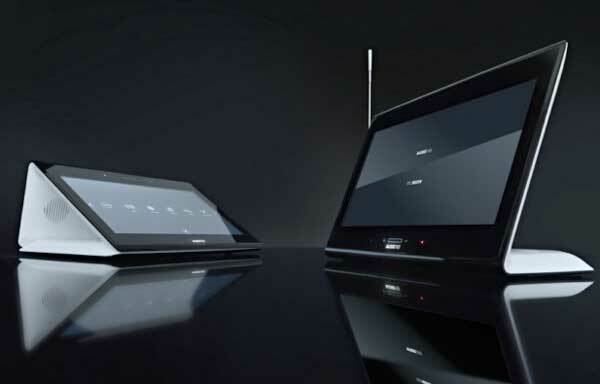 “The idea was to develop a contemporary instrument such as the Tablet, but to use it in another way, turning it into the focal point of advanced household communications in the third millennium. We believe that this product, more than any other and perhaps uniquely, perfectly summarizes technology and our attachment to our homes. The idea was to develop a contemporary instrument such as the Tablet, but to use it in another way, turning it into the focal point of advanced household communications in the third millennium. We believe that this product, more than any other and perhaps uniquely, perfectly summarizes technology and our attachment to our homes. Alessi don’t give any more details regarding apps, but what is not mentioned is the Android Market, so it looks like a limited set of apps will be available. The AlessiTab is due for a November release date in Italy, and will sell for 399 Euros.